Teething can be a real pain for baby (and everyone else in the house). Here's a cuddly friend to lend a helping paw - and a friendly ear! 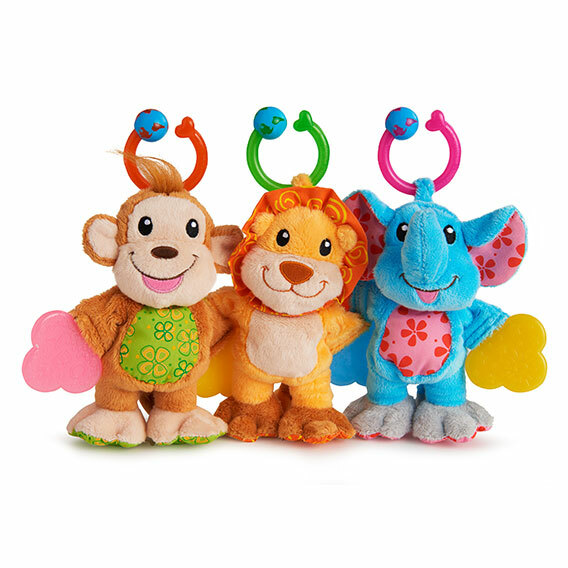 Teether Babies® offer triple the fun because they're a rattle, teething toy, and plush animal in one. Featuring textured, rubberized hands for brand-new teeth to chew on and crinkle material in the feet for added sensory stimulation, this adorable teething toy comes with bonus hook/ring that easily attaches to your stroller for on-the-go entertainment.